Adds specific features to the generic definition : PrintTrace is adapted. Sets FinderProcess at initial state, with an initial size. Returns the Model which can be used for context. Prints statistics on a given output, according mode. 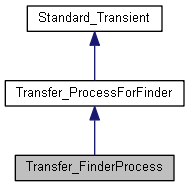 Sets an InterfaceModel, which can be used during transfer for instance if a context must be managed, it is in the Model.